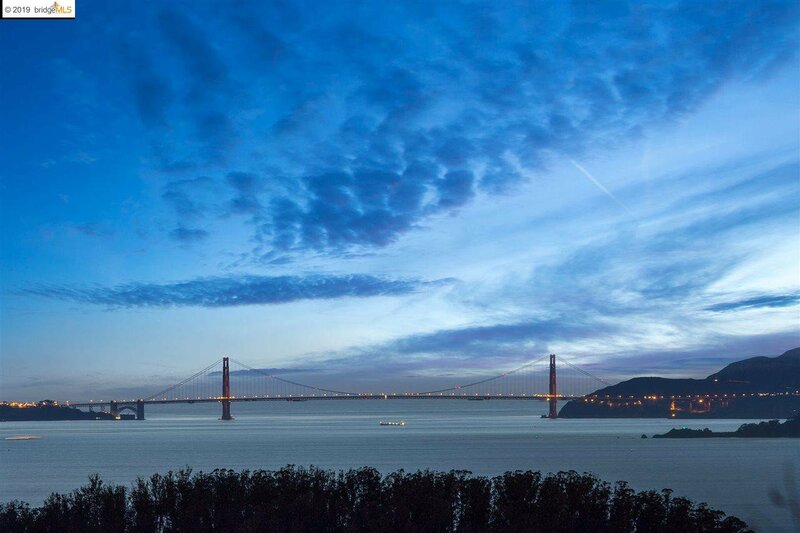 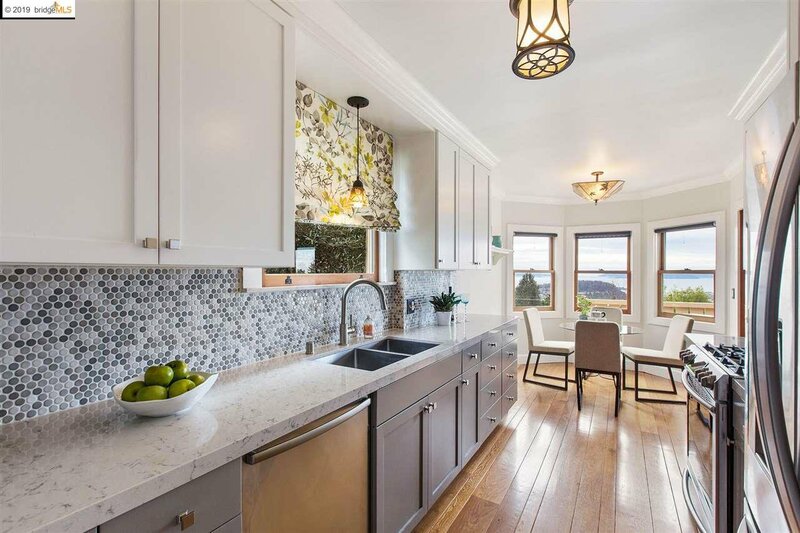 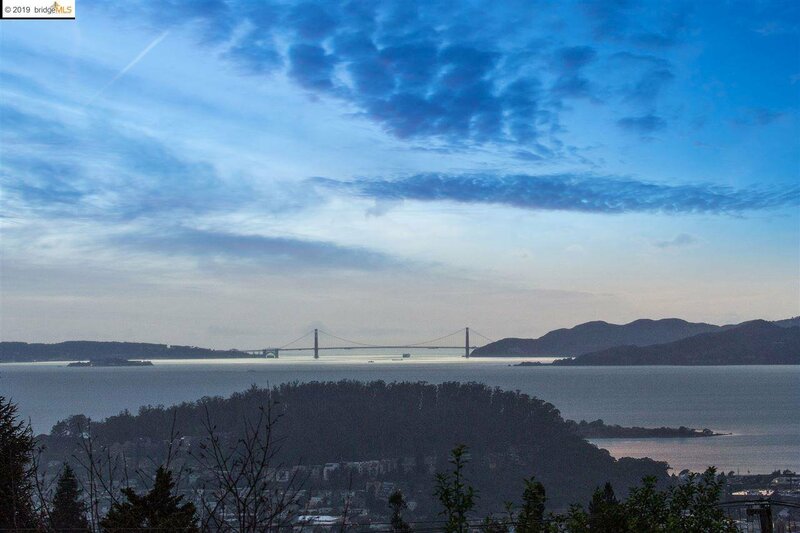 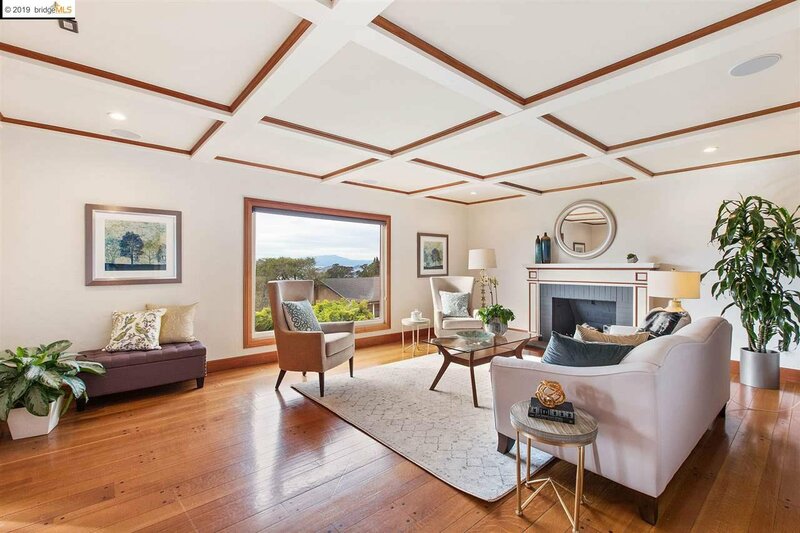 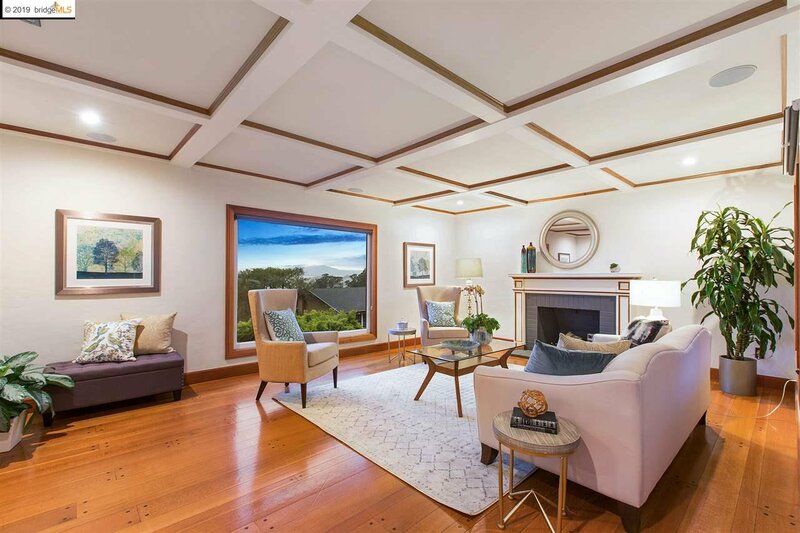 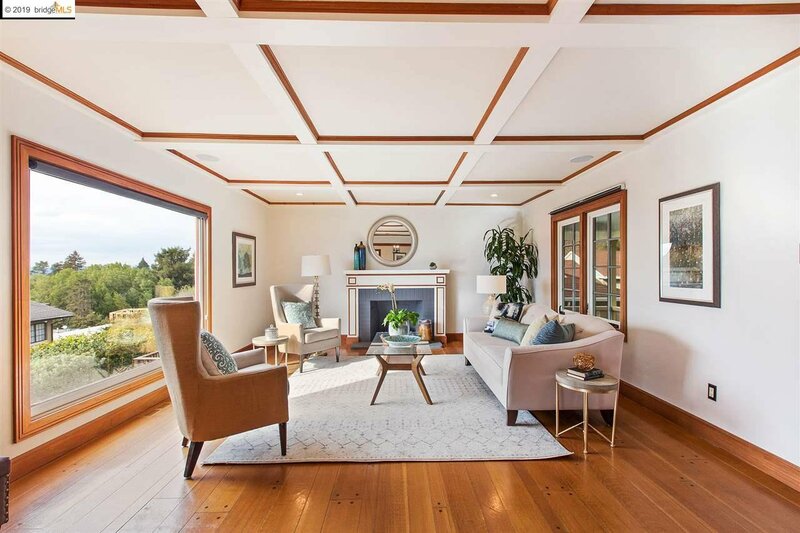 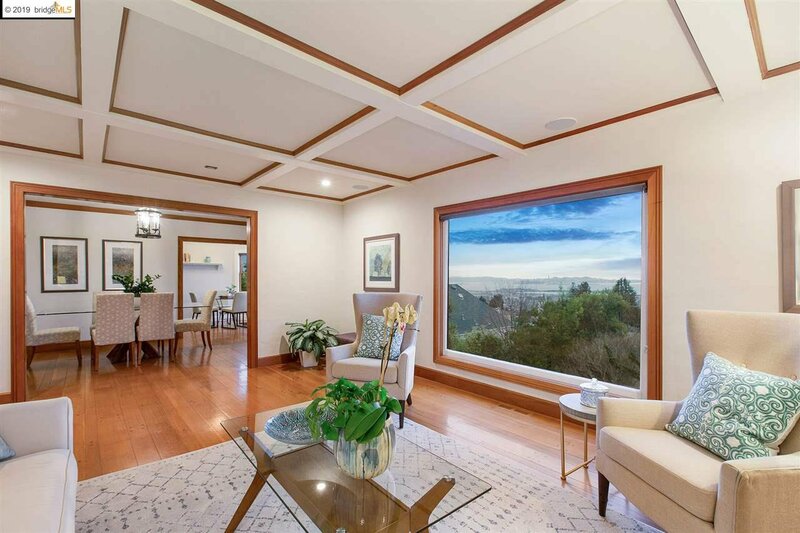 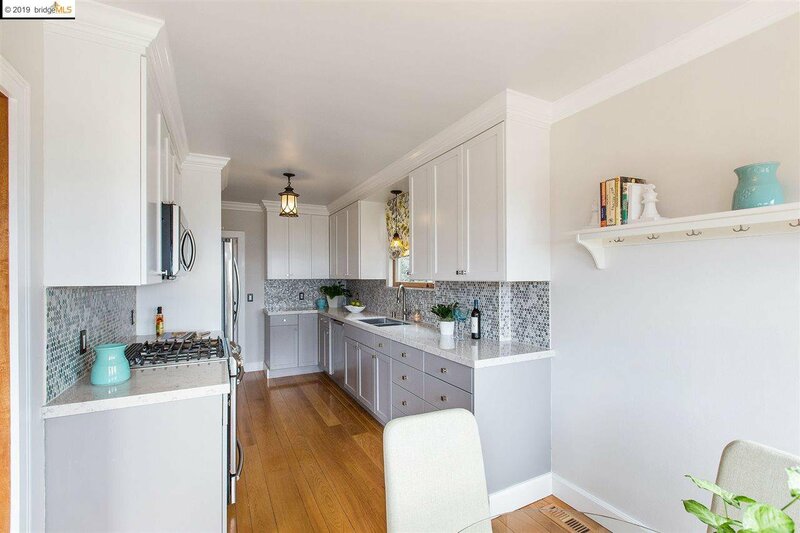 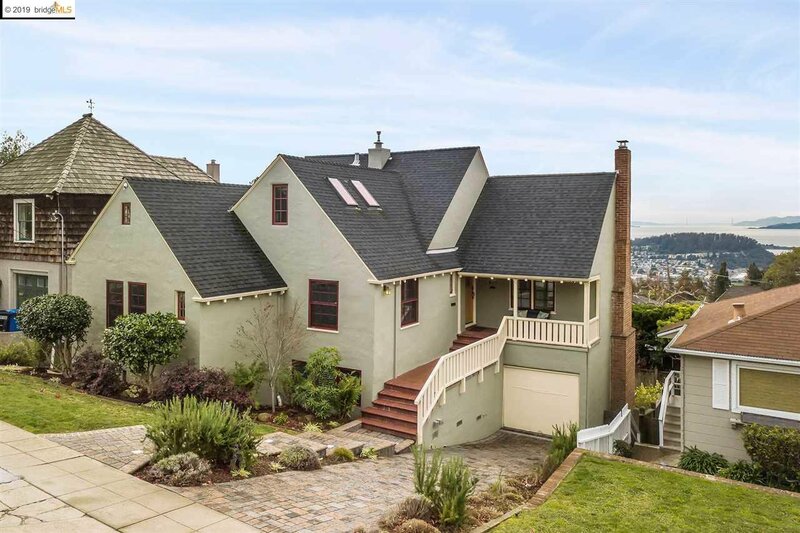 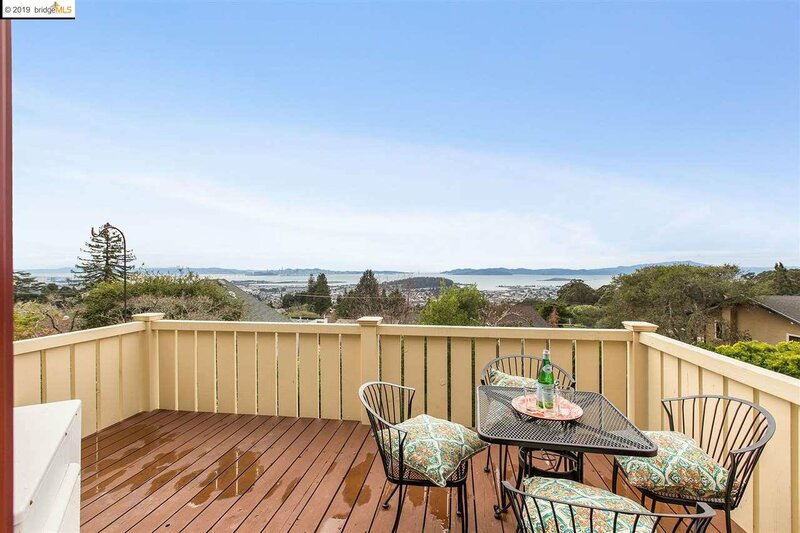 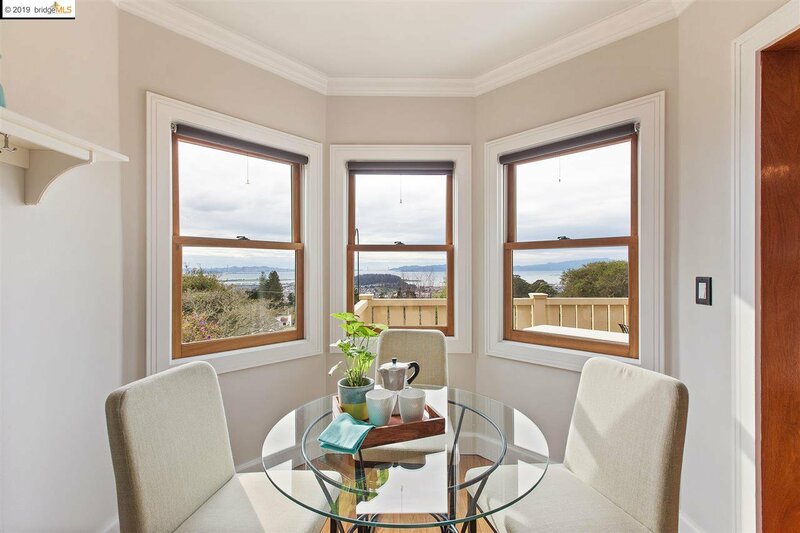 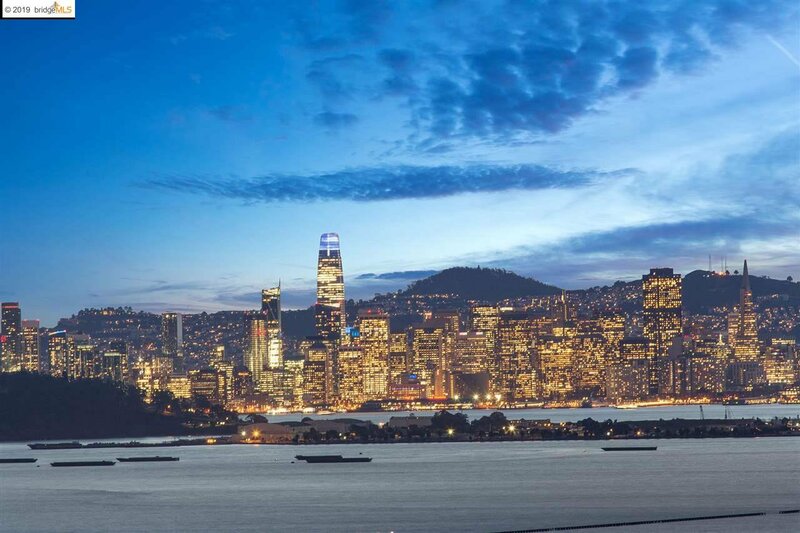 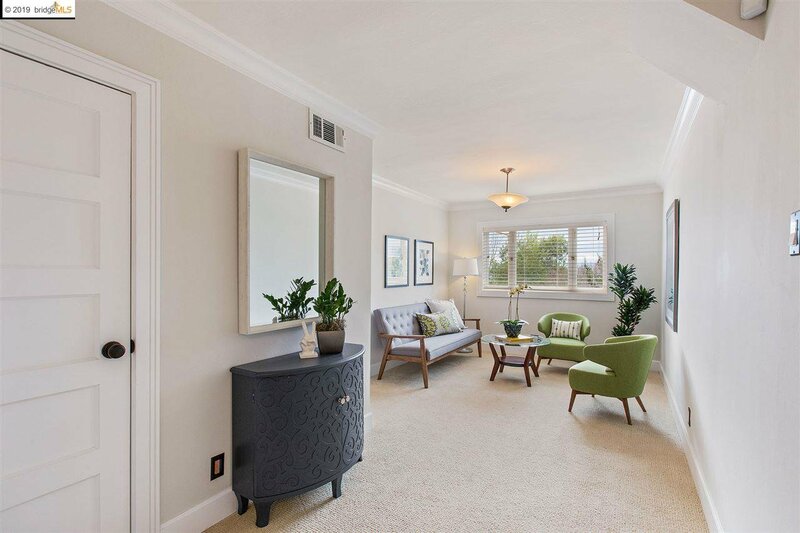 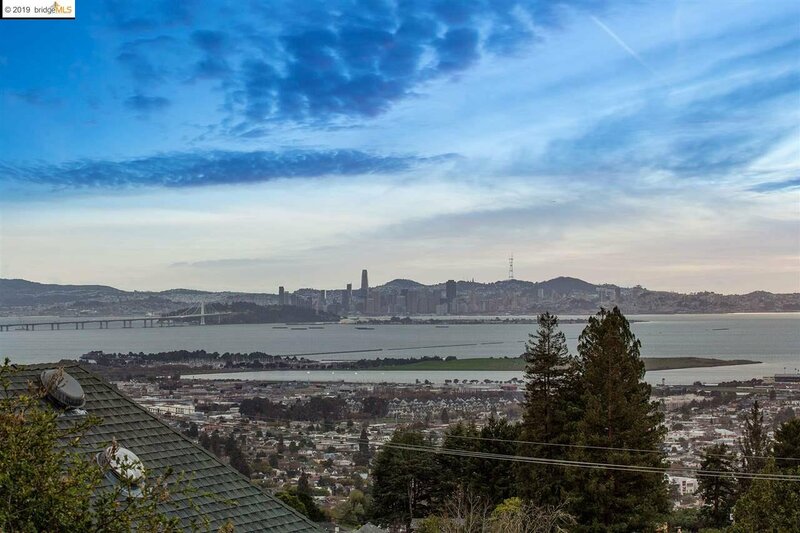 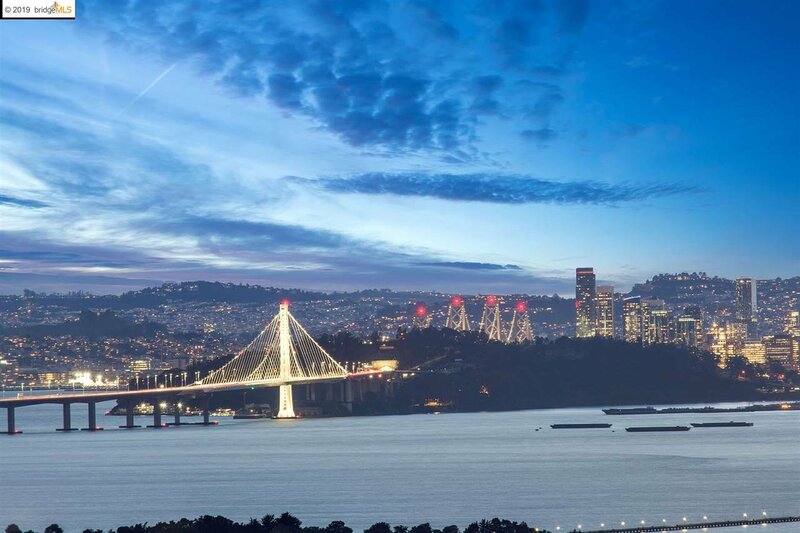 An expansive 4++ BD/3BA in the heart of Kensington featuring breathtaking views of the Golden Gate, Bay Bridge, Alcatraz island, & Mt. 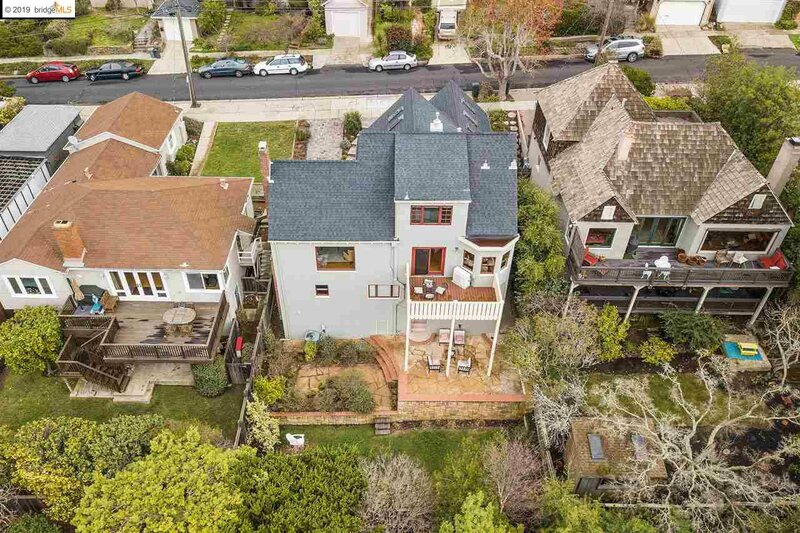 Tam from all floors. 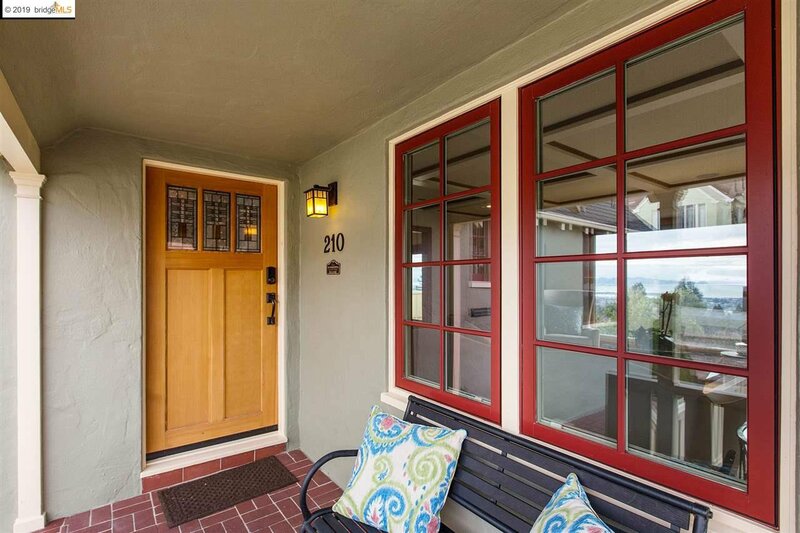 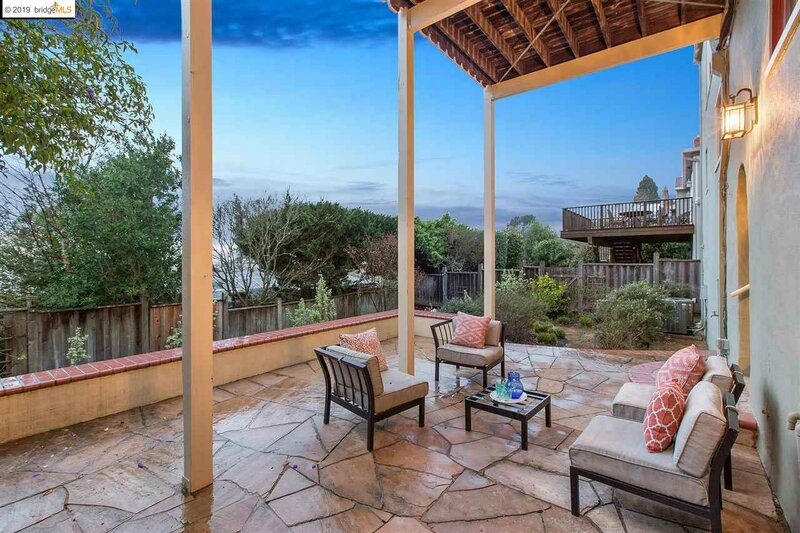 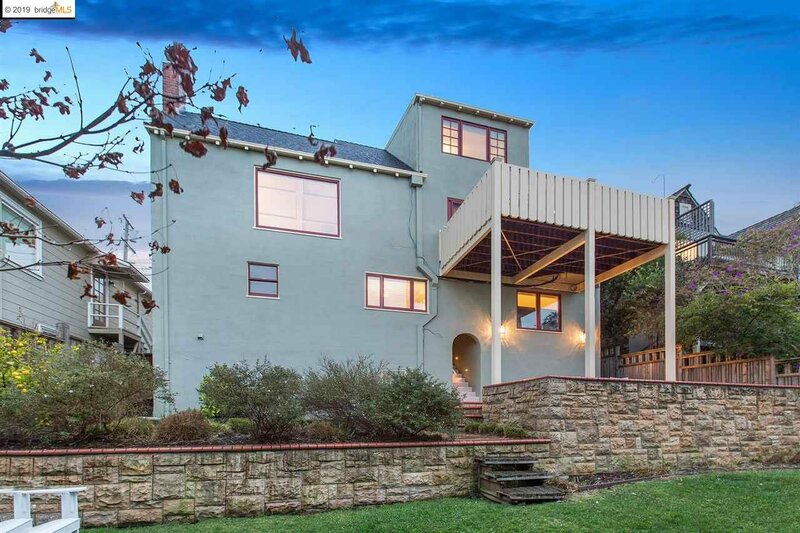 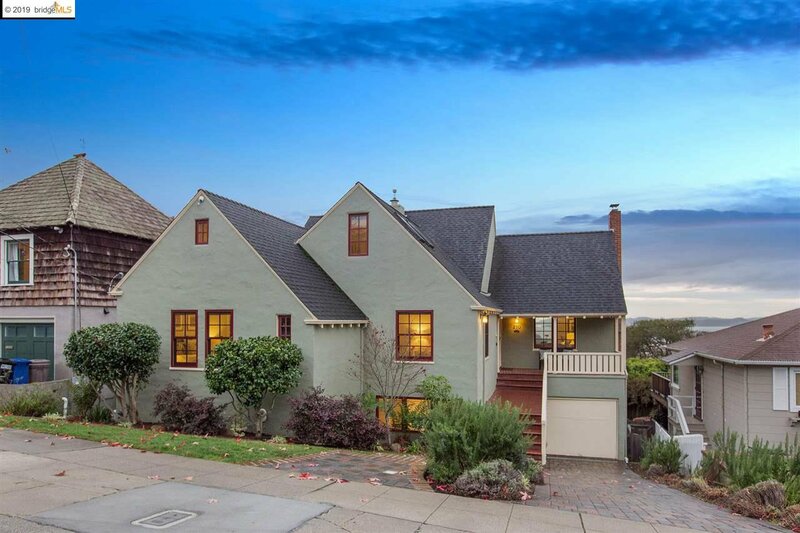 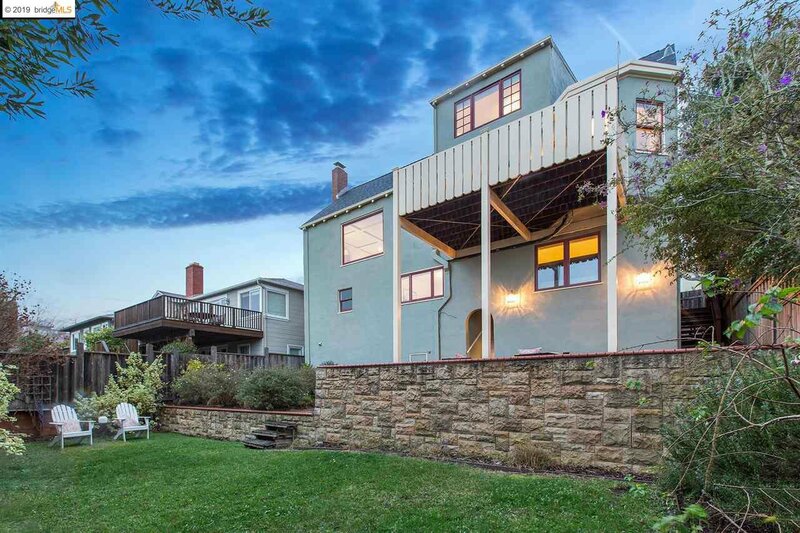 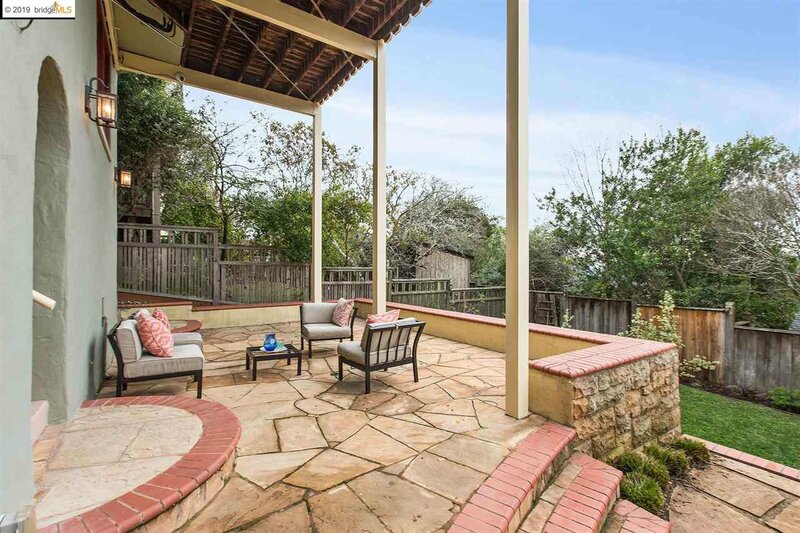 Steps to Tilden park, Arlington shops, Solano Ave, & Kensington's top rated school. 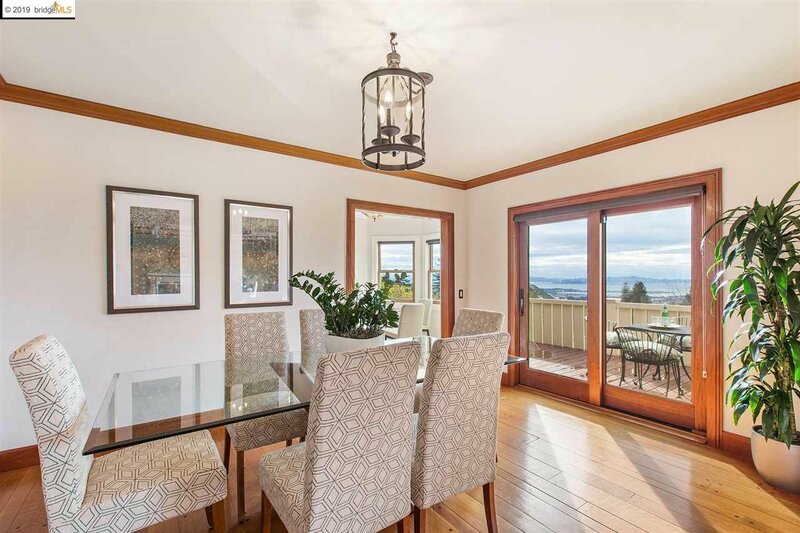 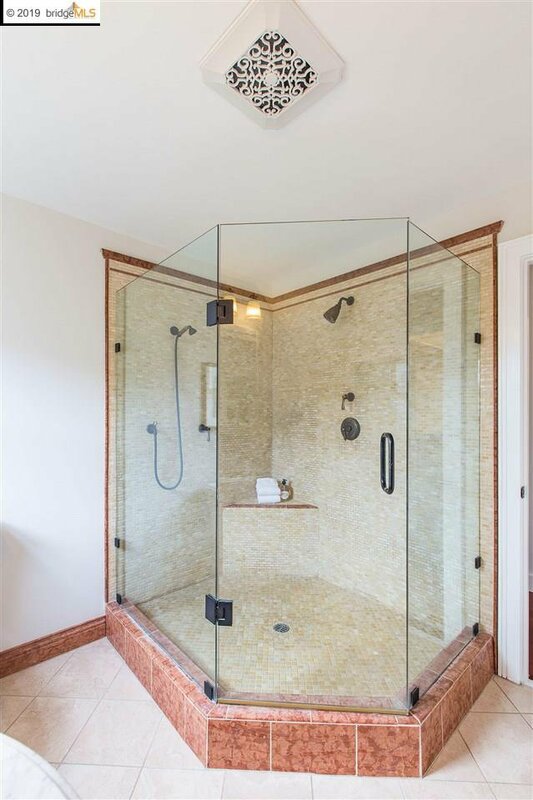 Quality finishes include: box beam ceilings, custom trim, original peg & groove hardwoods. 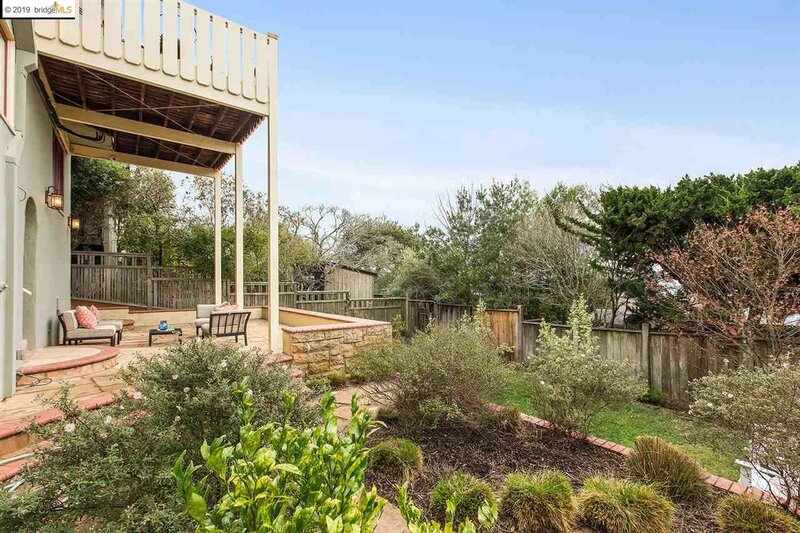 Yard features beautiful plantings, stone terrace, & large level grass area for play. 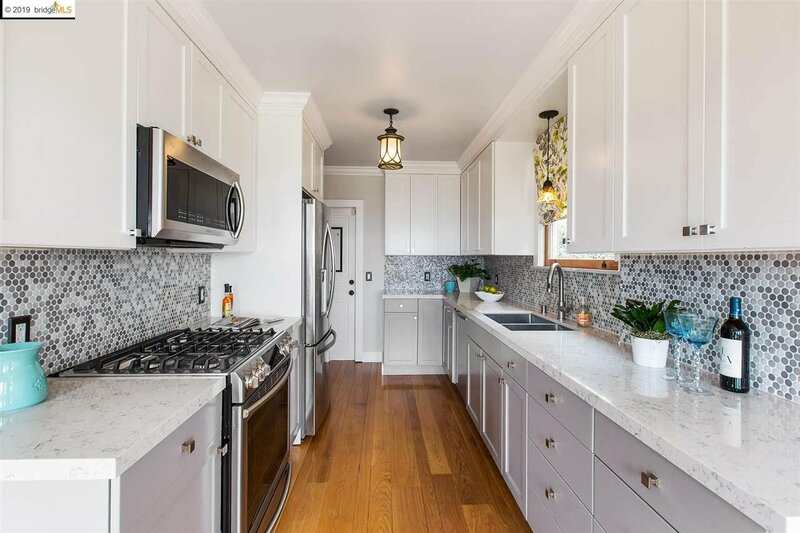 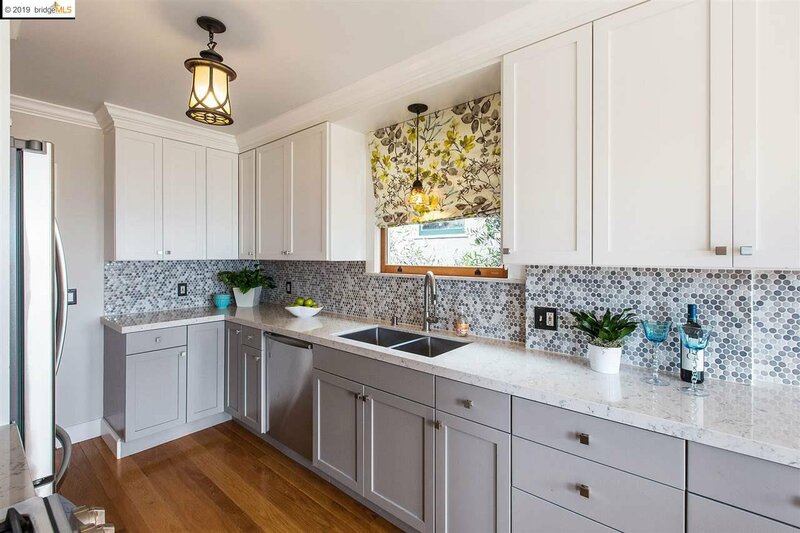 Updated kitchen and baths, generous living space, and deck to enjoy morning coffee & family barbecues while soaking in the sun. 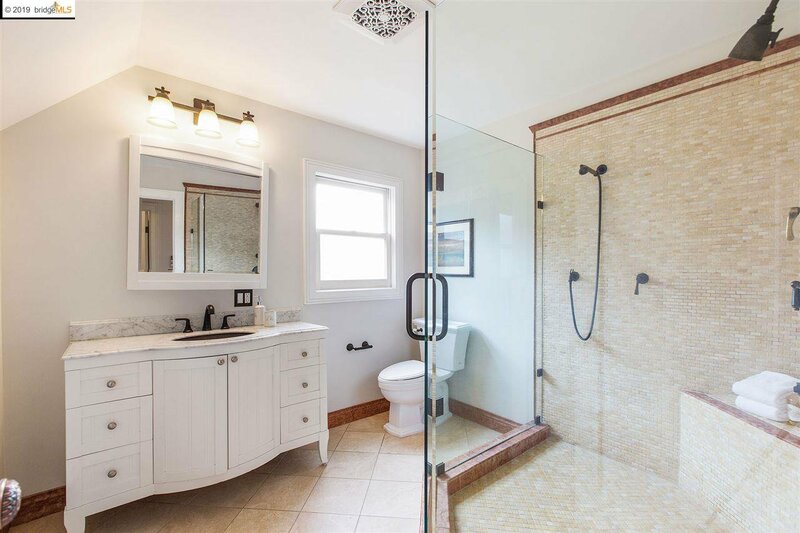 2 over sized bedrooms & bath on main level. 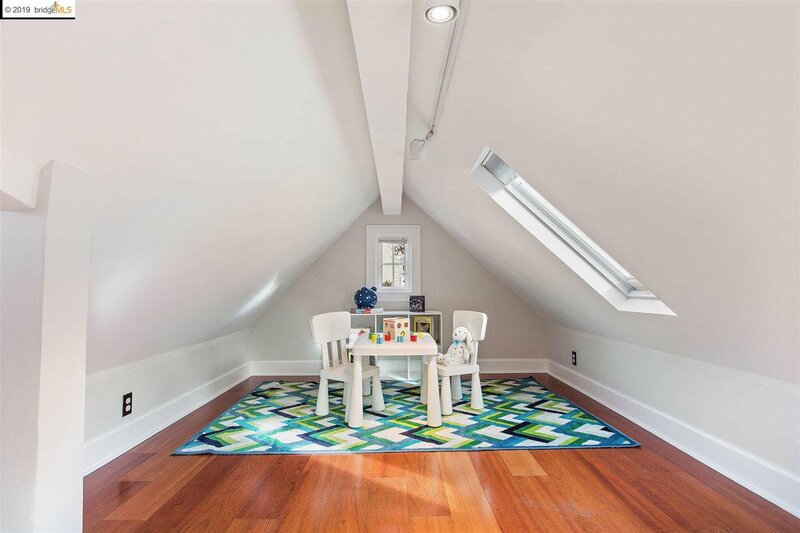 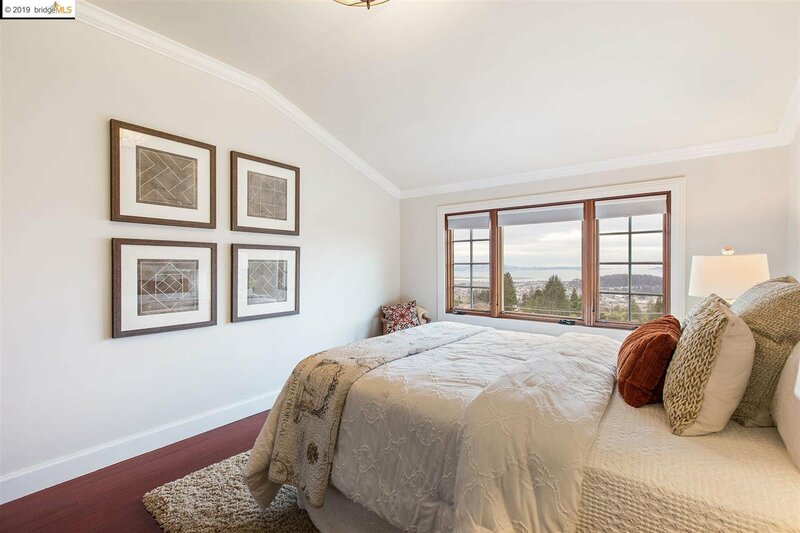 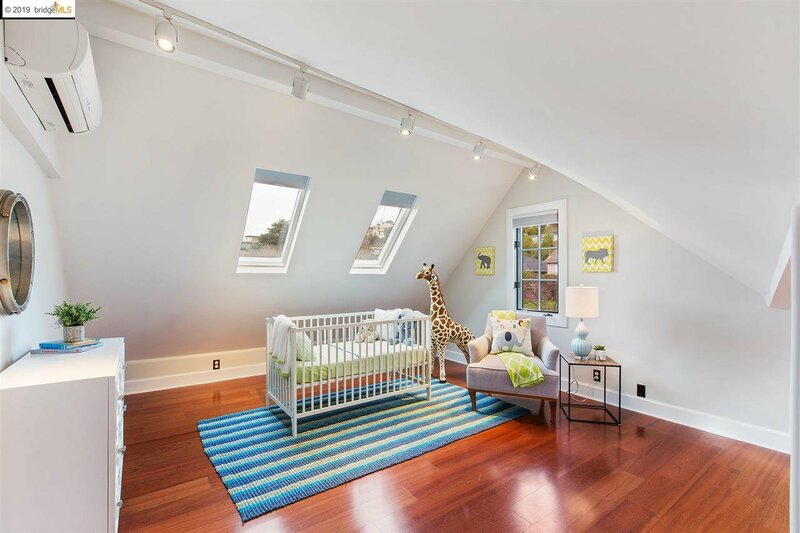 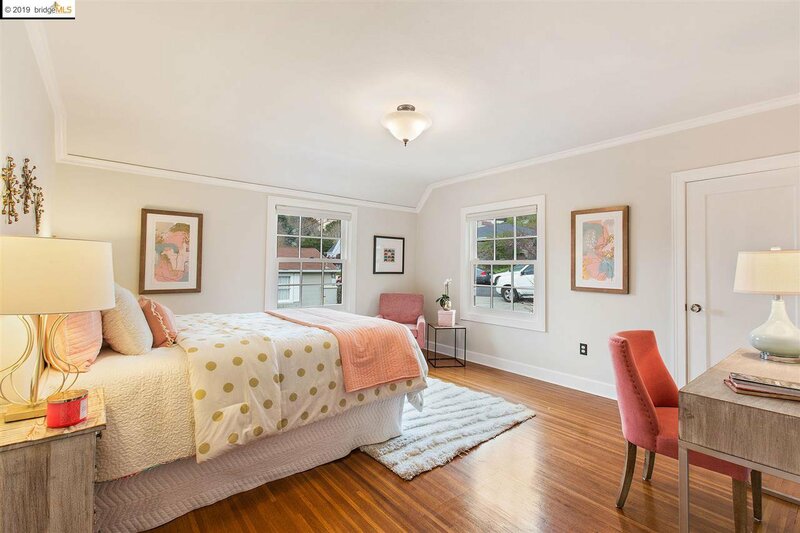 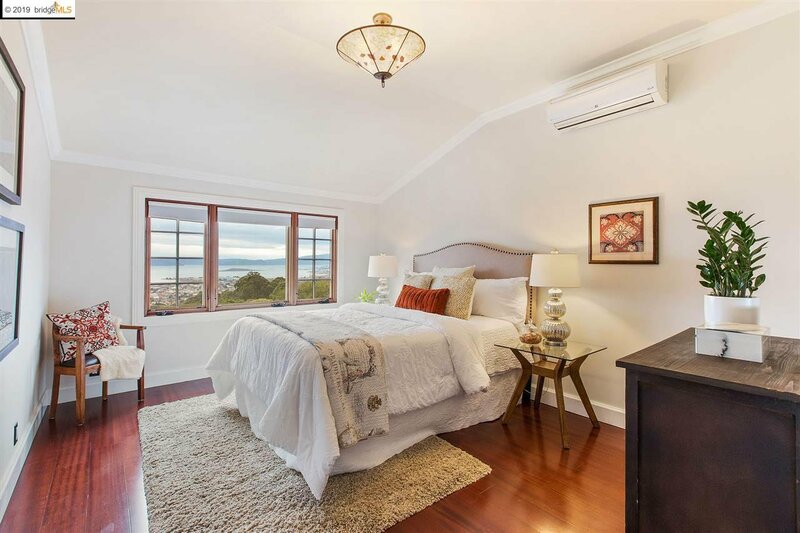 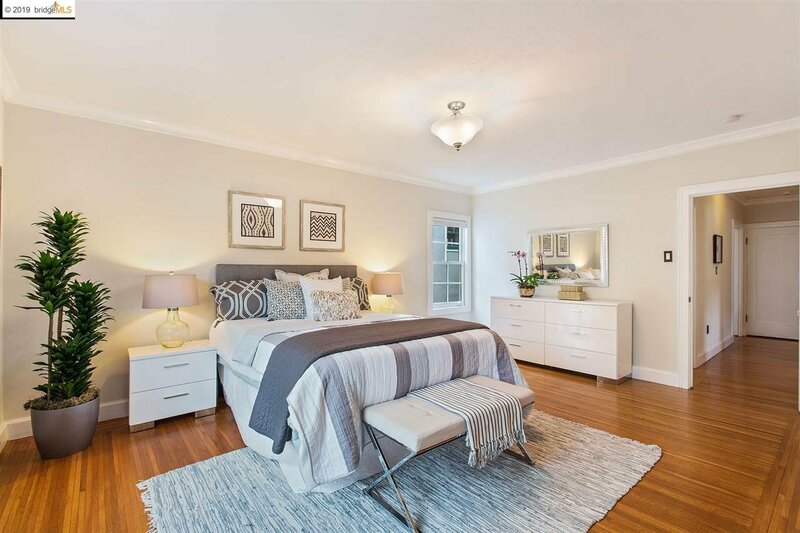 Master bedroom w/ sweeping views, bath, walk-in closet & bonus sun-filled space great for nursery/home office. 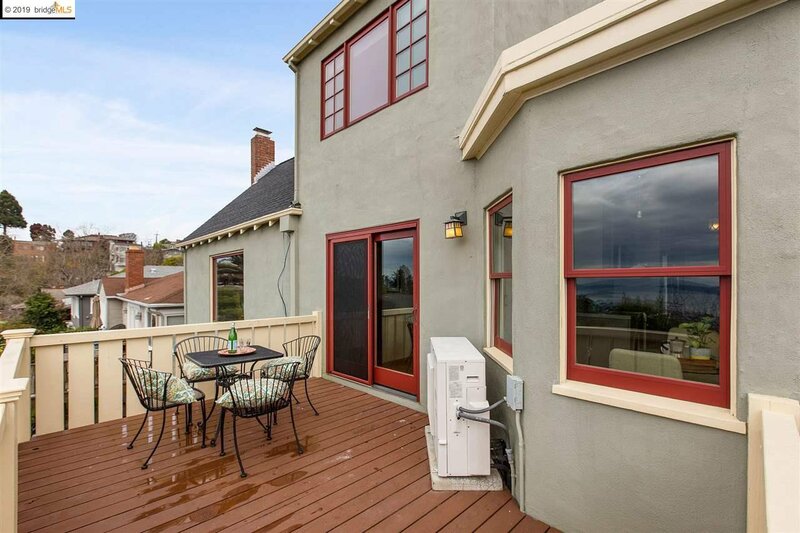 Lower level features den/office space, bonus room, in-law suite/family room, full bath, and access to the backyard. 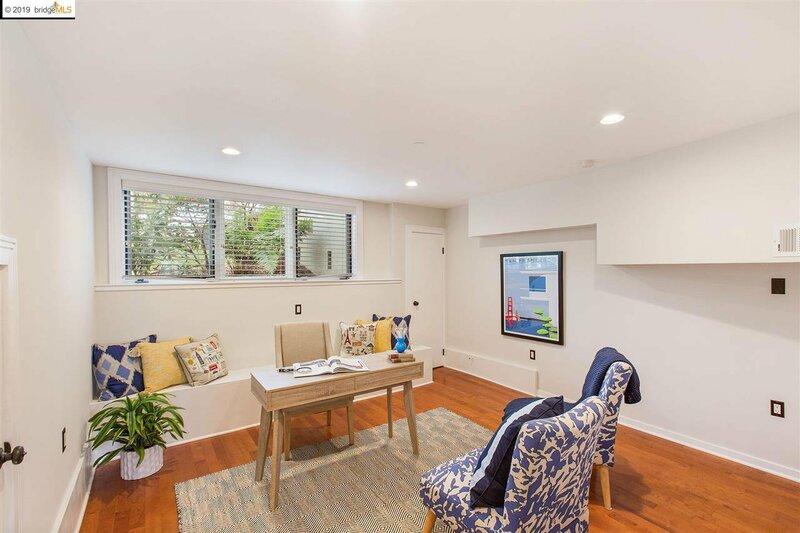 1 car garage, interior access, off street parking & car charging port. 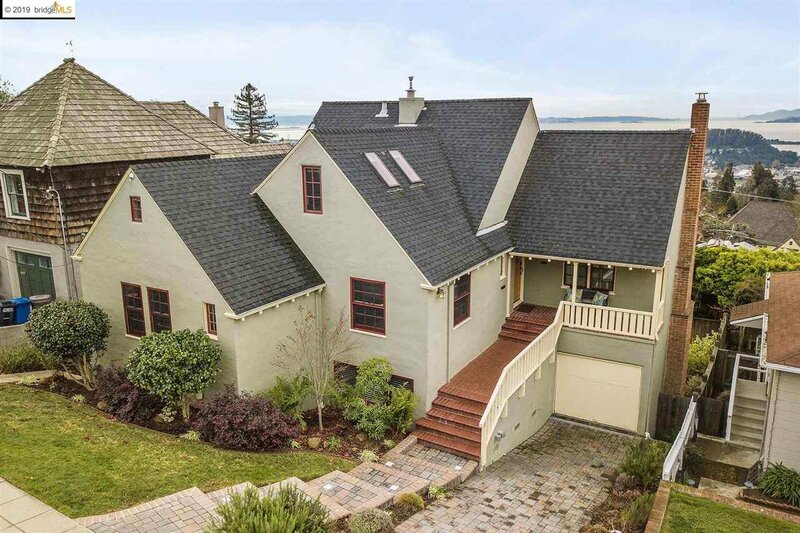 This is a grand home filled with exquisite views, original details, family-friendly floor plan & beautiful yard!